Do I like these things,some habits which makes a terrific impacts in our life, how to stop medicine expenses, some habits which makes us inactive, some things which makes our life dull, FREE Awareness tips. Luxurious life is definitely liked by every one and slowly luxury becomes a great disadvantage for us and we become unaware of this life long. After sometime luxurious life become our necessity and a little bit negative changes makes us frustrate, uncomfortable, ill, disturb etc. This article is useless for those who don't want to come out of there problems by some self efforts. This article is very useful for those who want to be aware of hidden enemies which are making our life typical in long run. There are some habits which we adopt without knowing the ill effects of them and they slowly start creating problem invisibly and we don't know life long about them or we can also say that we don't want to know about them. Let's understand this with an example which has happened with my friend. One of my close friend was continuously asking me about the remedy of chronic constipation, acidity, digestion problem. I always ask him to focus on life style which he is following. But he didn't understand this. Then I asked him to tell about a day when he don't face this problem. 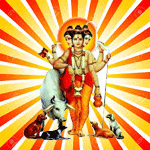 Do you know he simply answered that when I make a lot of physical work, on that day I don't face digestion problem. I asked him that this is the answer of your question and also the remedy of your problem.Actually he is in sitting job and also with this he has a habit to use vehicle to bring any thing from near by market. Due to this he was facing problem. I suggested him to go for walk daily two times and also not to use vehicle for every work. By adopting this now he has got the relief. So sometimes there is no need of medicine, only a change in lifestyle can make our life wonderful. In this way we can surely save unwanted expenses of medicines. A Big Fact is that the basic reasons of many problems is abnormal digestive system and a unhealthy life style. So Change your lifestyle to live a healthy life. Do I use vehicle for every work and if your answer is in yes then you are depriving your body from some natural exercises which body gets while walking. Change your habit and see the changes. Do I am habitual of using luxurious life always and unavailability of life make me frustrate and if your answer is in Yes then again it is not good for you. Let the fat burn naturally and it will keep you healthy and fit. Am I habitual of using cold drinks daily and if the answer is in Yes then beware of health problems which will arise due to increase of carbon dioxide in body. Am I habitual of using cigratees, cigar, tobacco products or any other drugs regularly and daily. If this so then don't expect good in long run because these are sources of toxins and we can't get a good health from them. Am I addictive of social networking sites and if so then do remember one thing that offline contacts are also very important and useful. Come out from the web world for sometime to live a healthy and wealthy life. read about situations cause dissatisfaction. Do I use fast food daily and if your answer is yes then be ready to face problems due to fat. Do I am fond of oily foods like samosa, kachouri, bhajiye/pakodi of market daily then beware of Transfat which will sure create problems in body by increasing fat. These are only a few habits which are a big obstacle in our life if we perform introspection daily then we will find that there are many types of habits which are creating problems in our life and the important thing is that Only AWARENESS will not change the life but we have to take a hard step to change habits and in result you will sure get a healthy and wealthy life.If we adopt a healthy life style then it is sure that we can save medical expense, Jim expense etc and make our life fruitful. Remember there are many problems which can be solved by introspection daily. So do that and change your life. 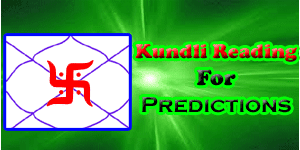 If your life is disturbed and you are unable to lift yourself then it is good to consult astrologer and take guidance. Planets makes impact on our life and change it always. 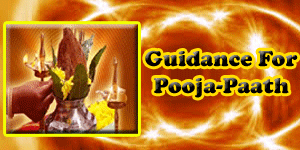 Know about which planets are disturbing our life and what to do to overcome from problems of life. 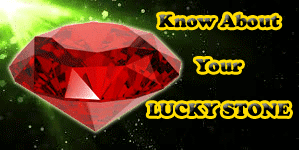 Show your horoscope and know about your lucky gems stone, best poojas, siddha yantras etc. 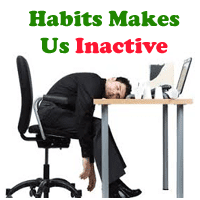 some habits which makes a terrific impacts in our life, how to stop medicine expenses, some habits which makes us inactive, some things which makes our life dull, FREE Awareness tips,Do I like these things.